100% Anonymous VPN, absolutely no logging! DNSFlex delivers Premium Residential IP’s via SOCKS and VPN. Our Residential IP Proxy network is distributed among the top Fortune 500 Cable ISP’s in the US, ensuring the highest level of anonymity. Perfect for Optimized applications that require multiple IP’s to avoid banning or detection. What VPN Protocols do we use? OpenVPN uses various methods and protocols to keep your communications safe, such as OpenSSL, HMAC authentication and shared keys. It also supports a wide array of cryptographic algorithms, such as Blowfish, 3DES, and AES — which is often touted as the gold standard of cryptographic algorithms. But perhaps the largest advantage of OpenVPN is that it is highly configurable. In fact, it can be run on any port and both UDP and TCP protocols — which makes it extremely difficult to block. With DNSFlex VPN, you get exclusive access to our Residential and Datacenter Proxy Network – including millions of fresh, curated Residential IP’s every month. Use single sign-on centralised authentication to access all our services. Why use a Residential VPN? 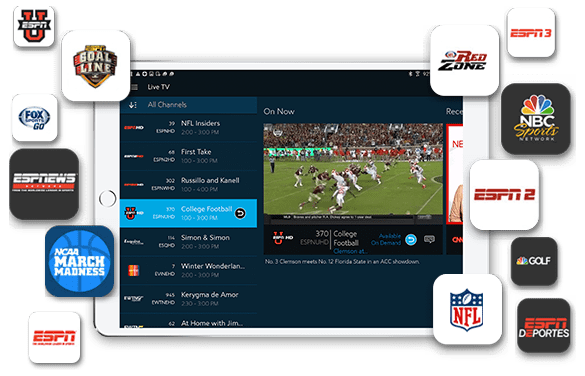 If you are heavy user of online streaming services, there is a good chance, sooner than later you will run into problems trying to access your favorite TV shows, music or local sports game. It is standard practice for distributors to enforce these restrictions based on your geographical location. 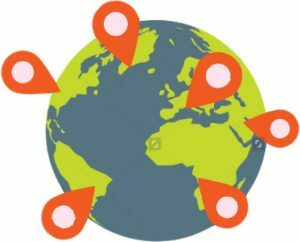 VPN is a good choice to virtually change your location, however many popular sites such as Netflix, HULU, Amazon and NBC Sports will block you if they detect your are connecting from a Datacenter IP. Residential VPN IP’s allow you to “unblock” these streaming services regardless of your location. If you are a road warrior and want to access streaming services while abroad, then Residential VPN is an effective solution to evade Regional blackouts for your favorite sports game or to avoid those annoying Netflix error messages “You seem to be using an unblocker or proxy”. With DNSFlex, your internet traffic is never logged. Therefore, your IP can never be tracked down and traced. Whatever your needs are, we are here to support you. Just drop us an email and expect a response within 24 hours. A SOCKS5 protocol provides a unique layer of security, unlike VPN which routes all of your network traffic, a SOCKS5 proxy can be configured on an application level giving you the ultimate privacy flexibility options. Using SOCKS5 is straightforward and provides the best performance when connecting to DNSFlex’s Residential IP Proxy Network. Your network traffic routes through our servers before it reaches the intended target destination, we safeguard your identity by forwarding these requests via an Arbitrary IP. A great advantage of SOCKS5 is the ability to provide username/password authentication to restrict access to the Proxy Server. Don’t wait, browse the internet with privacy and security in mind. Torrents are typically scrupulous to government watchdogs and spy agencies. Large corporations often seed fake torrents to a honeypot and report such actions to ISP’s for illegal activity. 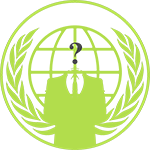 SOCKS5 will provide the first layer of defense by hiding your IP and passing traffic through our anonymous proxy server. Use SOCKS5 if the main goal is to download Bit Torrent and P2P traffic. Simply because it is a lightweight protocol and runs at a lower level than VPN. SOCKS5 runs on UDP which is session-less and is designed to transfer data in smaller bits of data packets compared to other proxies. This improves overall speed and performance. Unlike ‘High-Level’ HTTP proxies, which are designed for a specific protocol, SOCKS Proxy technology is ‘low-level’ and is designed to be an all-purpose proxy which can accommodate virtually any protocol, program, or type of traffic. How does an SSH Tunnel work? All LAN traffic destined to the internet (excluding RFC1918 IP Space) will be routed via the IPTABLES Firewall “Redirect” Policy and into the Redsocks listening port. In the event you are installing DNSFlex SSH Tunnel on an unrooted mobile device, traffic will be routed using a traditional VPN network interface. Pick your choice! This tool allows you to redirect any TCP connection to SOCKS or HTTPS proxy using your firewall, so redirection is system-wide. We setup the firewall rules in step 1 so that all traffic will be redirected into the redsocks listening port, processed then sent to the OpenSSH Daemon. The SSH Daemon is responsible for forwarding SOCKS5 traffic received on the port forward listening interface, truncate and send the data traffic through its established secure encrypted tunnel to the DNSFlex SSH Server. The WAN interface is the external default Network connection to the Internet. The SSH daemon is accepts all packets into the listening port “D”, encapsulates the data and adds data headers before sending it to its destination server. Traffic destined to the internet will route to the DNSFlex SSH endpoint fully encrypted. The DNSFlex SSH Server will decrypt the packets and fetch the requested resource (Client request eg. HTTP google.com). The reverse path is then traversed and the resources will be returned to the client. SOCKS5 Proxy VS VPN – What’s the Difference? When choosing a data handling protocol, there are a few considerable options worth noting. You may have a personal preference, understanding the features and limitations are an important first step into making the right decision. The chart below describes some feature comparisons between each protocol. View DNSFlex SOCKS and VPN server list clicking the button below. We are actively expanding our footprint. If a desired location cannot be found, send us a message and include your Country of interest for consideration.